Do you mentally collect and muse over science quotes? Some reasonably good web sites have already done this, but so far none of those sites has my all-time favourite. It’s obscure. It was spoken by a geophysicist fifty years ago and it is mostly lost to the annals of history. But it is worth resurrecting. I will dash through a few of my runners-up before I get to the best of the best quotes (as defined by me, though my thoughts are open to revision). The following small group of also-rans have been adjudicated as superior only through my own myopic lenses, but you have likely seen them before. And some have the fun attribute of being fake. Fake? The greatest quotations are attributed to people who may have never voiced the words. Carl Sagan’s reference to our planet as a pale blue dot is stirring and poignant – and because we have this video, we know for certain that he actually said it. But I like this one, too, which is also attributed to Sagan: “Somewhere, something incredible is waiting to be known.” This pithy statement reflects Sagan’s life – motivated by curiosity, seeking the unknown. It should be a guiding aphorism for all of us. 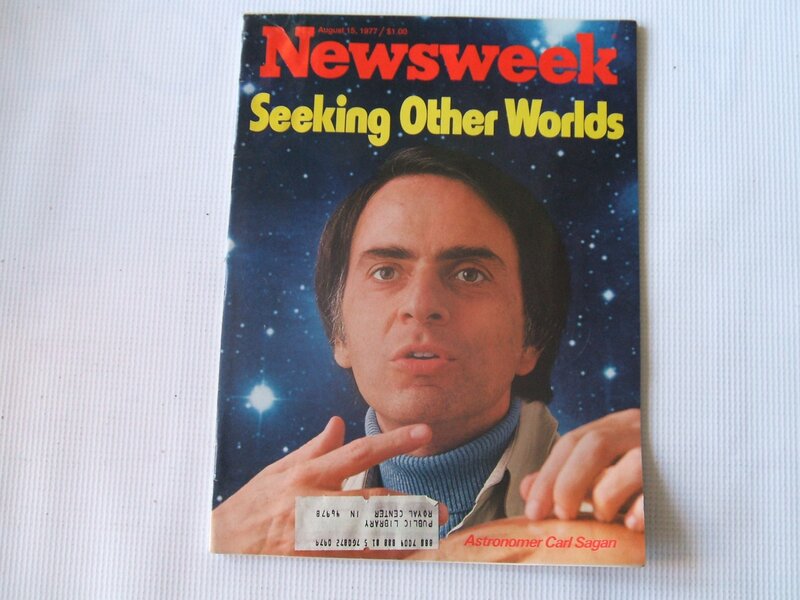 It would be my favourite Sagan apothegm, but it was likely penned by journalists who wrote a Newsweek cover story about Carl Sagan. He probably never said it. Similarly, Einstein is credited with “Everything must be made as simple as possible. But not simpler.” For those of us who aspire to write about science, culture, and history, these words serve as a fundamental maxim. Scientists do well by following this simple philosophy – but not any philosophy that might be simpler. It sums up Occam’s Razor – the preferred theory amongst any two is the simpler theory. Einstein certainly would have agreed with the simple statement, but there is no record that he said it. Ironically, the closest he comes is this very wordy version from a 1933 Oxford speech: “It can scarcely be denied that the supreme goal of all theory is to make the irreducible basic elements as simple and as few as possible without having to surrender the adequate representation of a single datum of experience.” A fine thought, but he could have expressed it more simply. In a letter to his arch-rival Robert Hooke, Sir Isaac Newton gave us another of our great science quotes: “If I have seen further it is by standing on the sholders [sic] of Giants.” We credit this to Newton. But Sir Isaac was repeating an old and well-worn adage, attributed to the 12th century Jewish philosopher Isaiah di Trani: “Who sees further, a dwarf or a giant? …if the dwarf is placed on the shoulders of the giant who sees further? … So too we are dwarfs astride the shoulders of giants. We master their wisdom and move beyond it.” And there were others who said it, even earlier. Here, however, is perhaps a more original Newtonian quotation, one of my favourites: “I don’t know what I may seem to the world, but, as to myself, I seem to have been only like a boy playing on the sea shore, and diverting myself in now and then finding a smoother pebble or a prettier shell than ordinary, whilst the great ocean of truth lay undiscovered before me.” The Cambridge library, in a recent Newton exhibit, says that Sir Isaac “is supposed to have remarked” this on his deathbed. Said or unsaid, Sir Isaac Newton lived the quote and it is a great one. From these dubious yet credible quotations attributed to Sagan, Einstein, and Newton, I’ll add this unsourced succinct witness to scientific progress: “Science progresses one funeral at a time.” This one is attributed to anonymous, though it was undoubtedly muttered by some young assistant professor, growing weary while waiting for the department chair to die. It, of course, underlies the deeper sentiment that progress comes only when the defenders of old untenable beliefs finally exit the stage. This, you will find, is one of the main themes in my book, The Mountain Mystery. As long as I am indulging in unsourced, unproven, and misappropriated science quotes, here are two of my favourite literary science selections. First, from Michael Crichton’s Jurassic Park, mathematician Ian Malcolm tells the scientists who think they have sterilized their dinosaurs that “Life finds a way.” Best heard in Jeff Goldblum’s voice, it is a reminder that we can’t control nature, nor can we predict all the variables in our experiments. My other prized literary quote is from Jules Verne. In Journey to the Center of the Earth, 1864, Verne’s protagonist (Professor Otto Lidenbrock) says: “Science, my boy, is made up of mistakes, but they are useful mistakes, because they lead little by little to the truth.” Little truths such as “life finds a way,” perhaps. So, we have Sagan reminding us to be curious, Einstein admonishing simplicity, Newton celebrating childish wonder, Anonymous encouraging patience, Crichton warning caution, and Verne tolerating mistakes. The last one, from Jules Verne, (science progresses through useful mistakes) leads us finally to my favourite scientific quote. In the mid-1960s, plate tectonics was slowly gaining acceptance as the best idea to explain how geology works. Before tectonics, large-scale geological phenomena (such as mountain ranges) were considered the work of an expanding Earth, or a contracting Earth, or perhaps a complicated system of rebounding geosynclines. At the time, moveable plates of crust were given less credibility than wild ape-men at carnivals. But a small and persistent group of geophysicists resolved the mechanics of plates in motion and guided geologists to accept the inevitable. Among the leaders was a soft-spoken southerner, Jason Morgan. Morgan’s work was the final bit of research that completed the drift revolution and led to almost universal acceptance of plate tectonics. His was the last dab of polish on the theory. Jason Morgan became world-renowned for his mathematical description of plate motion. A colleague asked Morgan what he could possibly do about plate tectonics to make an even greater name for himself. “I don’t know. Prove it wrong, I guess.” To me, Morgan sums up the beauty of science in his reply – there is no humiliation in making a mistake; there is honour in proving oneself wrong. This entry was posted in History, How Geophysics Works, Philosophy, Plate Tectonics and tagged Carl Sagan, Einstein, Jason Morgan, science quotes. Bookmark the permalink.